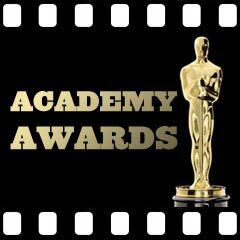 On Monday June 11, 2012 we hosted our second annual academy awards ceremony. This was the first time that it has been a district-wide event. Previously it was limited to only the Middle School. I developed this event with our middle school gifted and talented teacher, Dr. Nancy Harris. The purpose is to recognize and celebrate the fabulous multimedia projects that our students have created throughout the year in grades K-12. Digital storytelling, podcasting, stop motion animation and digital authoring are all integrated into all of our instructional areas. In each content area students and teachers are creating and accessing such content to instruct and assess. Multimedia creation develops information literacy skills such as research, evaluation and organization of digital content. The process develops visual literacy, critical thinking, and collaboration. Students who take part in these projects are provided an authentic task and an audience for their writing beyond the classroom teacher. In many cases students discover the power of their own voice and an overall excitement about learning. The categories that we recognized included: Non-Fiction, Personal Narrative, Historical, Stop Motion Animation, Podcast/Radio Show, Environment, Character Counts, Public Service Announcement, Current Events, Foreign Film, Tutorial and Digital Book. We had 21 productions in which 53 awards were given. For this event we setup a red carpet for students to enter. Each winner received a mini oscar award. This year we had 250 parents, family and students in the audience. Our students did an fantastic job on their productions. We are proud of the work they created and the teachers who supported them.